Anyone in the West Midlands and beyond will have seen CTT’s smart coaches with their distinctive ‘swallow’ livery. There is quite a number of coach businesses who, faced with the increasing amount of employee training foisted on industry, have set up an in-house training school. 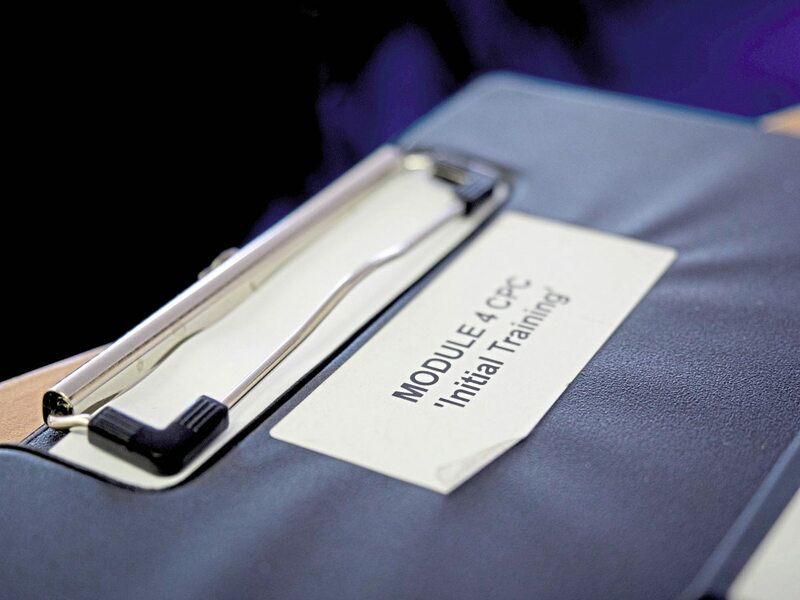 Usually, the object of the exercise is either to fend off the high cost of external training or to ensure their own staff get training that’s bespoke – or both. And that, I’d assumed, was what had happened at CTT of Wolverhampton. 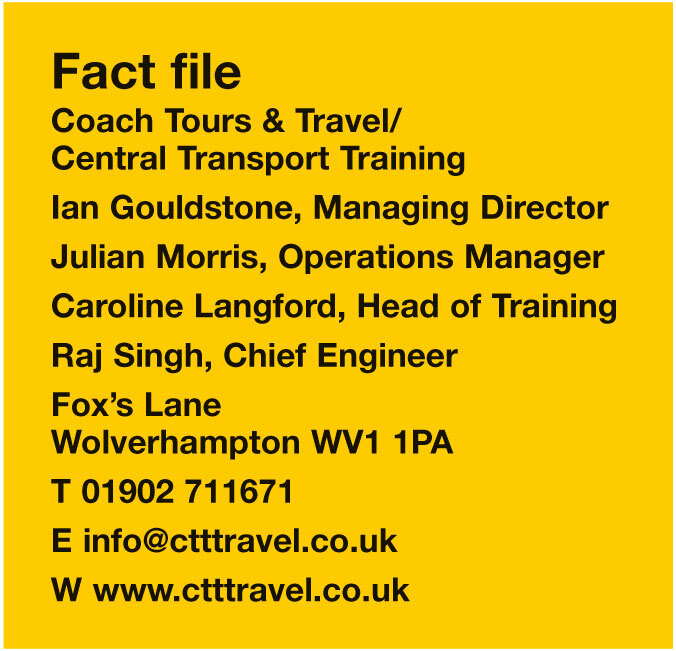 In point of fact, CTT is two companies; Central Transport Training and Coach Tours & Travel, both under the same roof just off the Stafford Road north of the city. Which came first? I asked Ian Gouldstone, the company’s MD. I got an unexpected reply. “I set up Central Transport Training in 1996,” said Ian. 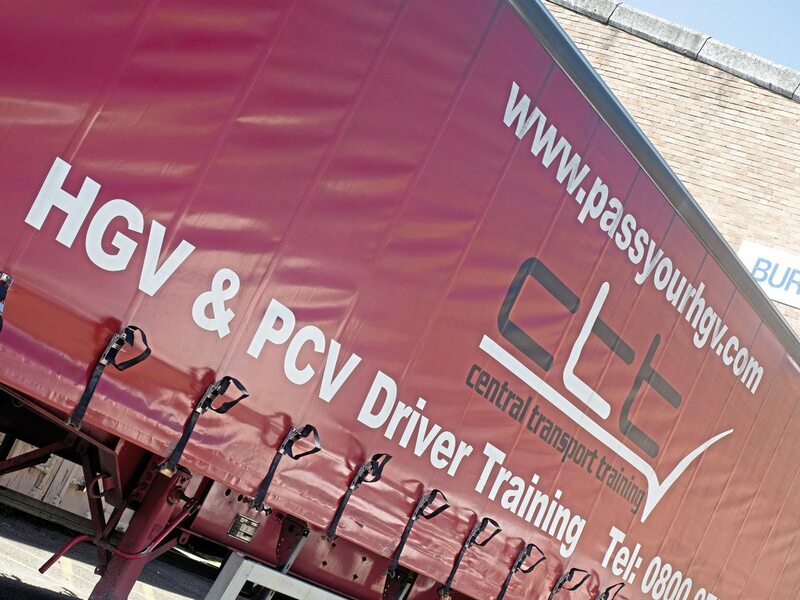 “I was in the training industry at the time, teaching HGV, so I bought a truck and we started working. By 1997, we had four training vehicles, and things were going well. The trainer we employed came from a coach background, and suggested we started doing PSV, as it was then. Ian quickly discovered that the word ‘conservative’ (small ‘c’) was invented for the coach passenger; at first, they stuck with the operators they knew: “But the loadings slowly increased, not least because we have always been extremely reluctant to cancel a trip, even if we have to take a loss,” said Ian. But learn they did, and the day trip operation grew, began producing private hire enquiries, and the fleet grew with the business. 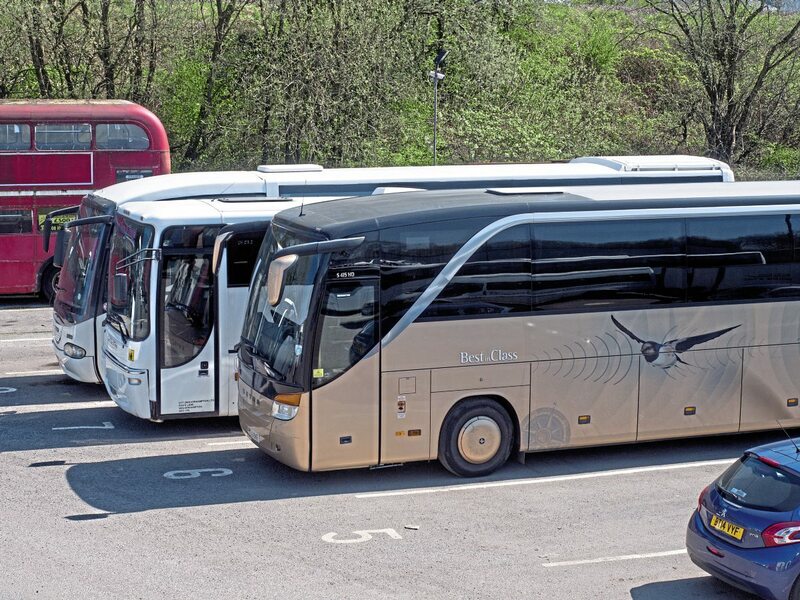 It’s a very smart fleet indeed, kept that way by the company’s policy of investing as heavily as it can each year – the last five years, a new coach each year. 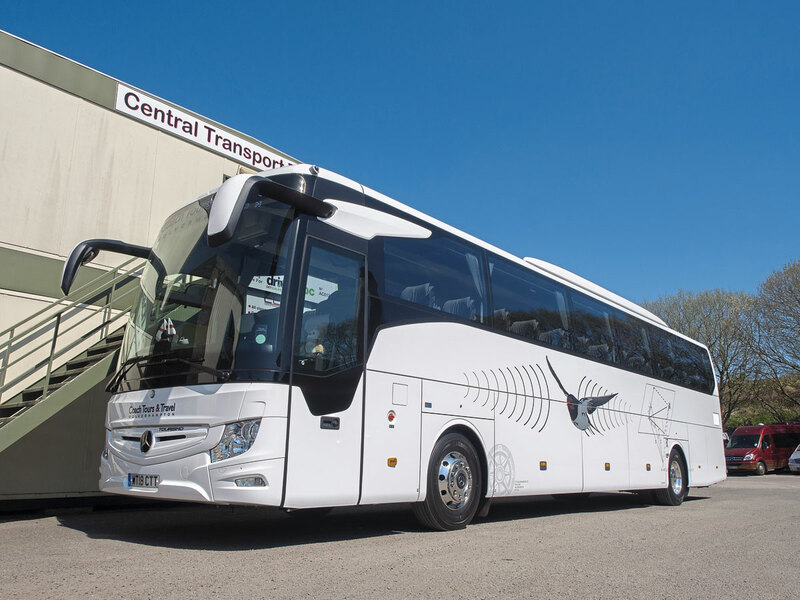 The day B&CB visited, the recently-delivered Mercedes-Benz-Benz New Tourismo was in the yard, signwritten and liveried with CTT’s distinctive ‘migrating swallow’ design. So were two new Sprinter-based minicoaches, and a ten-year-old Setra S415 in a condition that defied its age. What’s also smart is the way CTT markets its day trips. Most operators in the tours and excursions market have seen the effectiveness of local newspaper advertising slide. As a journalist, I have simultaneously witnessed the loss of advertising revenues cause publishers to cut journalist jobs, and provoke a downward spiral. The reason and the solution are the same; the internet. It is as essential to have an on-line presence now as it was once to be listed in Yellow Pages, and CTT’s use of Distinctive Systems’ Tour Booking System gives it both a website and mailshot and tour management tool. 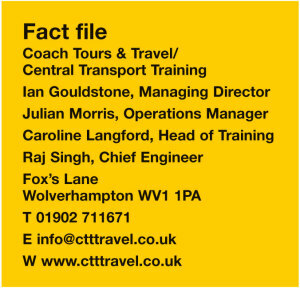 In addition to this, CTT uses social media, and its Facebook page, Coach Tours & Travel of Wolverhampton – has delivered in spades. The Facebook page has a friendly feel, like a chat with its customers, but doesn’t miss the opportunity to promote its fleet, especially its new coaches: “Group travel organisers want to book modern coaches with good drivers, and Facebook has helped do this.” The page even includes a feed from TripAdvisor, and with a string of five-star reviews, you don’t have to wonder why. 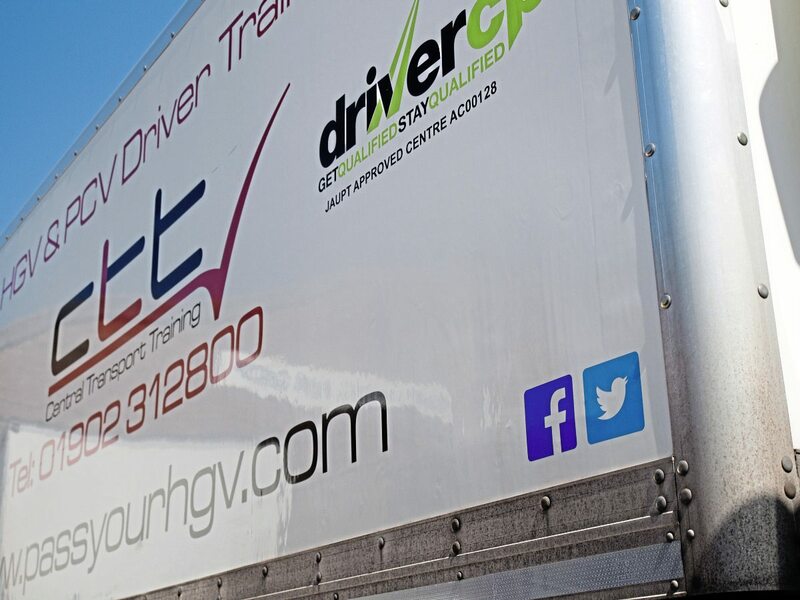 The day trip programme itself has helped grow the private hire market for CTT, word of mouth spreading the news of the quality of the operation. 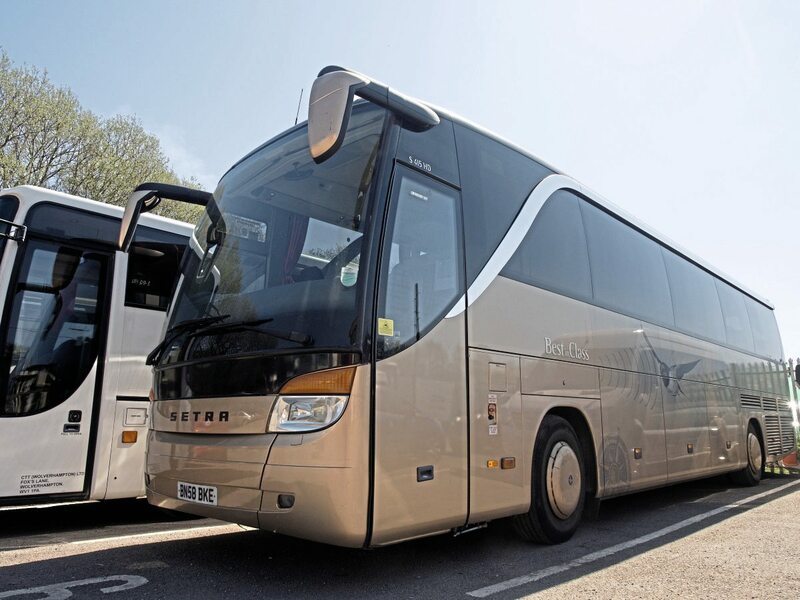 Singing its own praises and promoting the fact that CTT has bought a new coach every year for five years has even led to quality tour drivers applying for jobs. 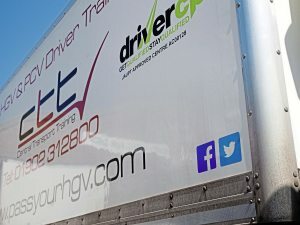 You’d think that running a driver training company would ensure CTT has a steady supply of the cream of PCV drivers, but CTT says many come via the companies who will employ them, and the predominance of HGV training in the mix means only a few have come direct from the Central Transport Training route. “The other problem with newly-qualified drivers is insurance; they need a two-year proving ground before they can get behind the wheel of a coach. 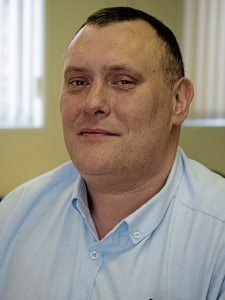 The local bus companies, of course, offer the training for ‘free’ paid back through wages, but even after that, there’s a lot more to coach driving than turning a steering wheel,” says Ian. Nonetheless, says Julian, having good coaches to drive does seem to have attracted younger ‘empty nesters’ with experience. 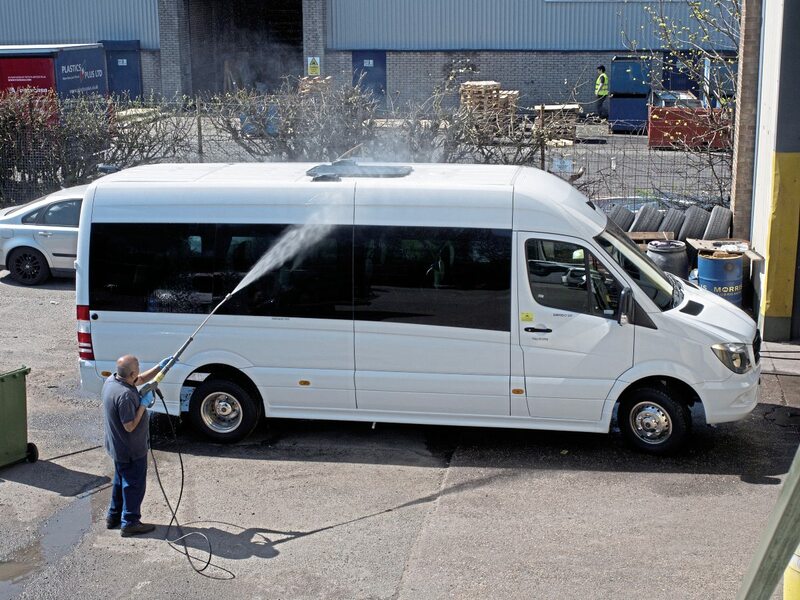 While many drivers are focused on pay rates alone, others appreciate the other advantages of a people-orientated company like CTT, which even has an on-site cleaner should a returning coach come back late. Home-to-school transport came to CTT with a contract in 2008, and is serviced in the main with two 70-seaters and a 57-seat coach, though CTT wouldn’t hesitate to put a new coach on for a school if it were needed. 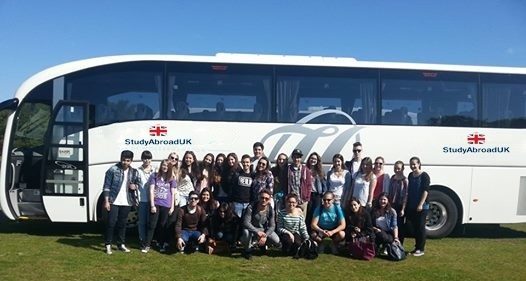 Latterly, work into Europe with school tour companies has also been added to the mix. Private hire has always been a blessing and a curse for operators, with most hirers hawking their trips around and often seeking the lowest price. CTT doesn’t get involved in the ‘race to the bottom’ and sets a firm bottom line for hire prices. 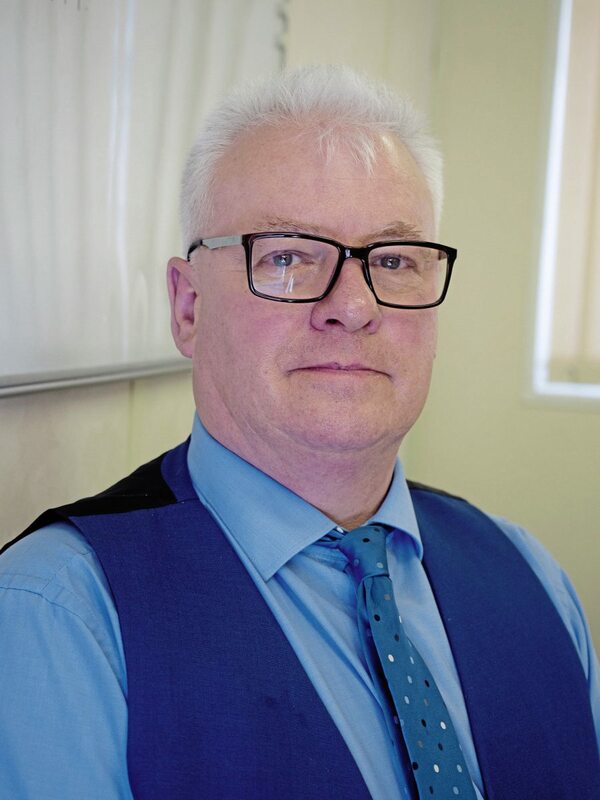 “If someone comes to us asking us to match an unprofitable price, I’ve always pointed out to the hirer that you get what you pay for,” says Julian. “The result has been that, in recent years, price has been a secondary consideration for our customers. 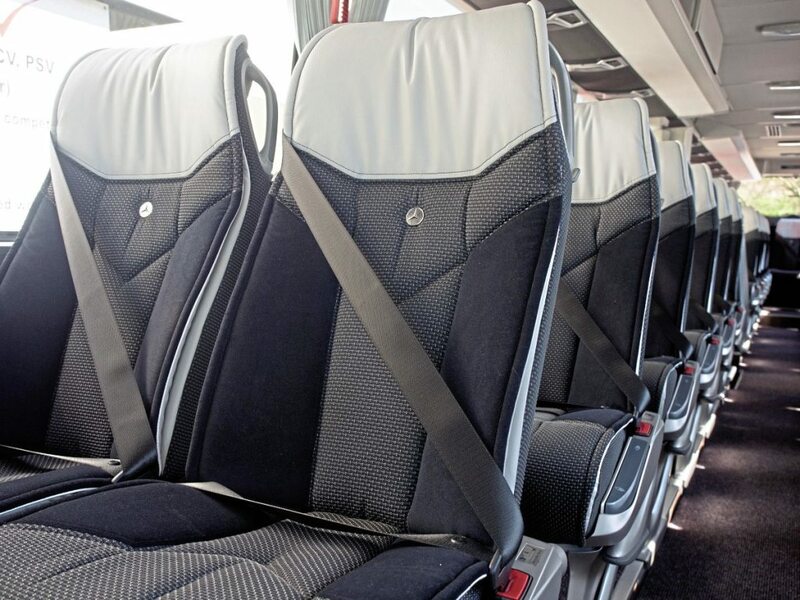 CTT has tried running tours, but eventually dropped out of the market because of fearsome competition with national tour companies and with over-ambitious local companies. 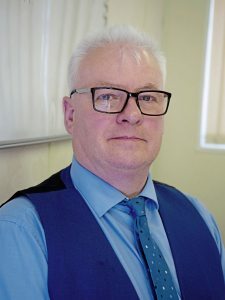 He’s philosophical about the impact community transport operators have had on the local authority contracts market, and says he’s aware of the changes and seeing how that will shake out, though he believes that, in this area too, price-driven competition will eventually drive down quality and service levels. Not only does this approach reduce downtime and give peace of mind, but the fleet’s compliance record is something which Ian says he can ‘sell’ to clients: “We score 100% for our independent audit for First and for a European tour operator,” says Ian, with justifiable pride. 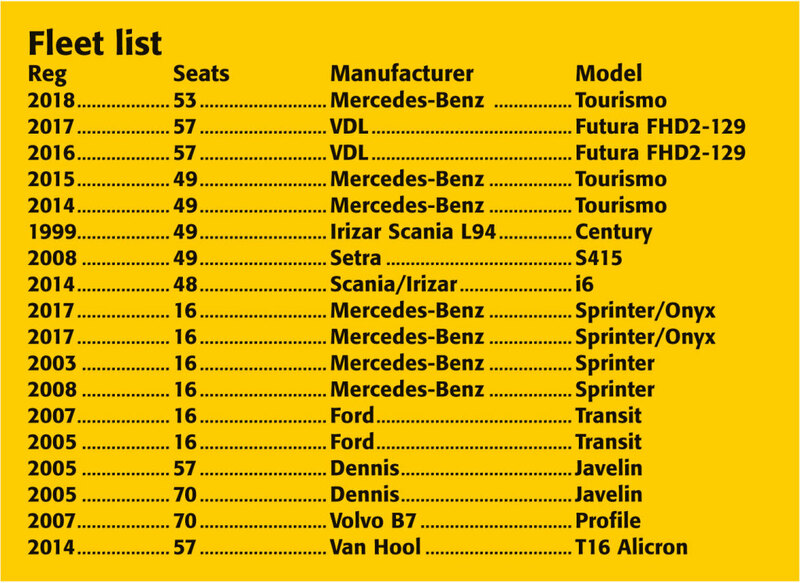 The operating fleet, including seven very smart minibuses, now stands at 22. Bear in mind that, in the early ‘noughties’ it was in its infancy. On top of this, the training arm runs six training vehicles, including trucks. But Ian’s not finished yet. 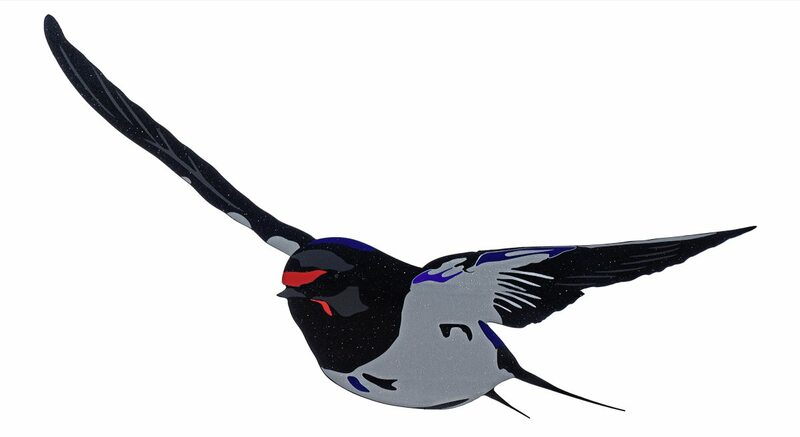 The yard is getting cramped and he’s on the look-out for a suitable site nearby, mindful that he wants to stay local so he can keep a team of people in whom he exhibits great pride. It was, of course, inevitable that company whose roots were in training people, which ‘accidentally’ got into operating, would put its staff front and centre. And judging by the cheerful reception I got at CTT from everyone, it’s equally true that they’ll be sticking with CTT wherever it goes.